Jalandhar: Leading IT Company, HCL Technologies ISD has selected massive 110 (one hundred and ten) students of Lovely Professional University in a single placement drive. 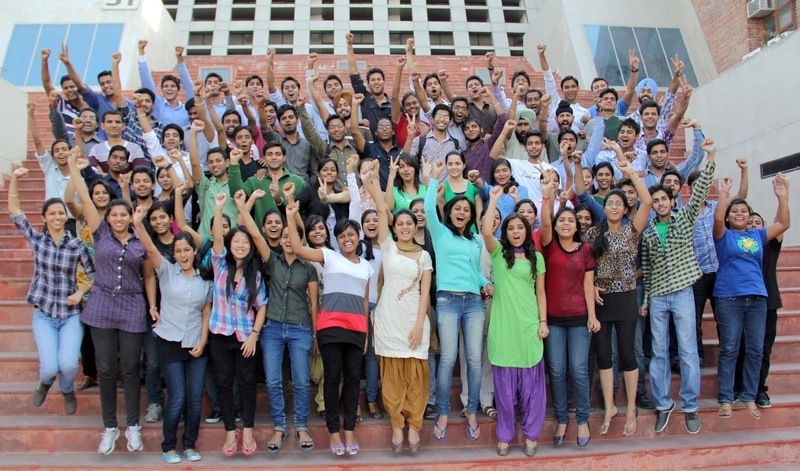 This is one of the largest recruitment done by HCL so far in any of the single university campus. This achievement of the students clearly speaks that IT companies are looking for great talent. The selected ones will join their duties in the month of July 2013, as Graduate Engineer Trainees, on an annual salary package of 2.75 Lac per annum. For this drive, students of B.Tech /B.E Electronics and Communication & Computer Engineering, Batch 2013 (Final Year), were eligible. While applauding the efforts of the Division of Career Services of the University, Chancellor Mr Ashok Mittal congratulated the successful students and motivated others to further work hard for future achievements: “We wish all the best to the selected students for a prospering & satisfying career ahead. Students getting recruitment with such a conglomerate is indeed a moment of pride for all of us.” He also said: “With the aim of providing world-class employment experience to our students, we keep on implementing many pioneering programmes of redefining our processes, in line with highest international standards. Under this a large number of students-selection is indeed a part of achieving this vision.” In fact, many other renowned IT, Pharmaceutical, Engineering, Management & Hospitality Sector companies continue visiting University. 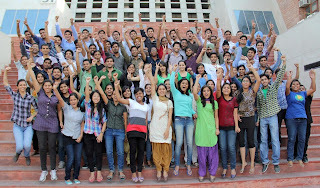 On this sparkling success, some of the selected students, Hardik Singh, Pallavi, Yugantika, Sarang, Samriddhi, Arjun, Aftab Alam and others said jointly: “We are in a state of ecstasy on being selected by a leading company in India, where on joining, we will be learning the best of practices to further scale other ladders of success. The student particularly lauded the university EEP (Employability Enhancement Programme) that helped them to prepare for the placement session, with multiple career opportunities waiting ahead.” Talking to Media, Chancellor marked that EEP provides awareness to new technologies relevant in Industry and further prepares students for interview. This was the first attempt under EEP and result has already started flowing in its start of less than 2 months span. The magnitude of HCL is self revealing by its being a $6.2 billion leading global technology and IT enterprise with offerings, across a wide range of focussed industry verticals. The HCL team consists of over 90,000 professionals of diverse nationalities, who operate from 31 countries including over 500 points of presence in India. HCL has partnerships with several leading global 1000 firms. Its ISD division has been ranked as a ‘Strong Performer’ in Remote Infrastructure Management by an International Research firm – Forrester. It has been ranked higher than global IT giants in Market Presence and Vision in this space; and has also been ranked No. 1 in Network Management and No. 2 in Server Management worldwide. Congratulations to all the selected members and me as well! I encourage you to learn how to write an application essay. In case you need to create some good presentation, you may choose the creative powerpoint topics for it. More than 140 nice ideas are waiting for you! In this picture all the students looking amazing and smile are charming. The project that is given to the student is interesting and very helpful for the students in future life where you can get otcas personal statement from us. In this stage, students learn about the practical life so that when they enter the practical they did not feel any burden. It is very nice that students work on the special project. Such project will give the good information to them so that they can learn the good things with sop graduate school . In this picture, students looking motivate and doing hard working to complete this project. It's great that students can improve their knowledge participating in such projects. In case you need a writing help we can give you a hand of help. I'm happy for that guys! They really deserve this. It's great they can take part in such conferences and projects because when I was a student, there were no such possibilities. Nowadays, every student can even just buy college papers online in one click and don't be nervous about passing papers.